You may receive updates from Terra Goodnight, the creator of this letter campaign. Ohio Senate Bill 331 undermines the ability of communities to establish their own standards in a number of ways. Specifically, it undercuts local ordinances that regulate the sale of dogs at pet stores, aimed at keeping those from unethical and unsanitary breeding facilities out of the community. The bill has been amended to serve business interests by blocking local efforts to raise the minimum wage, or to regulate the treatment of workers through policies like earned sick time or fair scheduling laws. 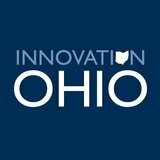 [UPDATED 12/15/16] After approval in the House and Senate, SB 331 was delivered to Governor Kasich, who now has 10 days to sign or veto the bill. Write now to urge Governor Kasich to preserve local control.